The Dingo has intense eyes that vary in color from yellow to orange. The very mobile, small, rounded ears are naturally erect. The well furred, appearing bushy, tail is relaxed and has good length. The hindquarters are lean and muscular. The coat is soft. Its length, density, and texture vary according to climate. Typical coat colors are yellow-ginger, but can occur in tan, black or white, including an occasional brindle; albinos have also been seen. All purebred Dingoes have white hair on their feet and tail tip. The Dingo is a breed that has never been fully domesticated. It is almost never kept as a companion. This is partly due to its remote isolation, but also through lack of human intervention. Untrained Dingoes are unsuitable child companions and cannot easily be obedience trained. Obedience training is best accomplished by kindness, patience, and a firm but gentle hand. Dingoes can be kept as pets if they are taken from the litter before 6 weeks of age. At this young age they can be tamed, but once over 10 weeks they should not be taken out of the wild. If properly trained and cared for the Dingo can make a very nice, unique pet. They are said to be able to perform agility and general obedience. The Dingo has some unusual traits—a great tree climber and at times a bit aloof, but these are interesting traits and are in the same category as the Dingo’s nearest cousins, the New Guinea Singing Dog and the Finnish Spitz, but displaying the same characteristics. They do not have the same degree of tooth crowding and shortening of the jaw that distinguish dog breeds from their ancestor, the Indian Plains Wolf. 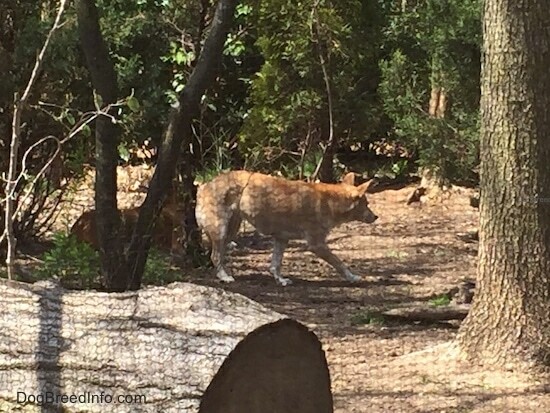 Also like the wolf, the female Dingo has only one breeding cycle each year. Unlike dogs, the Dingo chooses a mate for life, sometimes mourning itself to death after the loss of its partner. 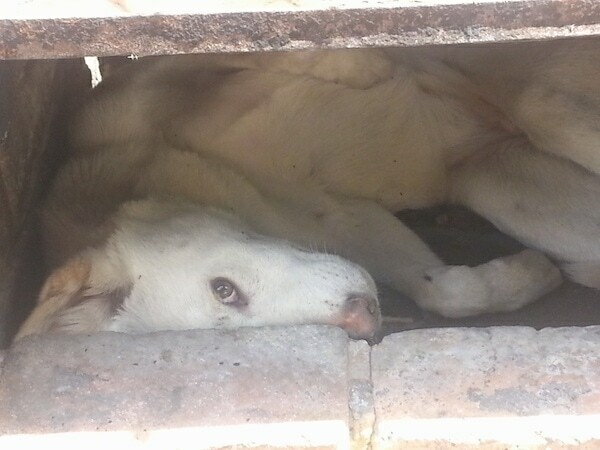 Often a litter of pups is found in the hollow of a tree, totally protected from all sides, with the dam guarding the front. 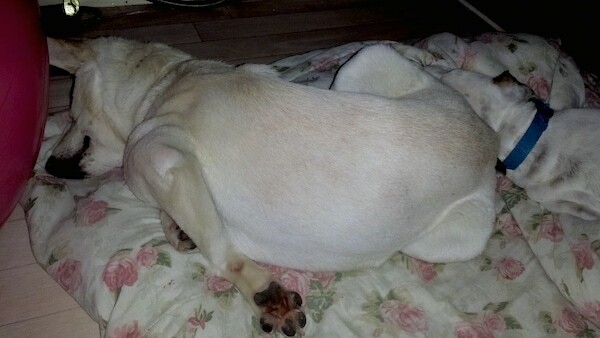 Even so, pups frequently fall prey to snakes. Families of Dingoes can be heard vocalizing together before a hunt. They have strong cooperative instincts and live in packs. These groups habitually hunt by night. They work silently and only learn to bark from association with other canines. They communicate by a distinctive yelp or howl. The Dingo may hunt alone or in family units, but rarely in packs. 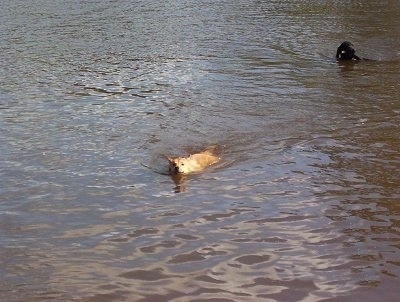 Water is a barrier to Dingoes and most will only wade, not swim. Wild Dingoes shy from man and have reverted to the wild. To survive in the wilderness, they have learned to play possum, shamming death. The Dingo rarely shows aggression. Years of persecution have developed a flight rather than bite temperament. Male Dingoes kept as pets are very restless during breeding season. Puppies and breeding season is around May/June. As of right now puppies are only available inside Australia and not for export, however this may change as Dingo fanciers push to educate people about this unique animal. Puppies cost from $500 -$1000 Australian. A Dingo Farm in Australia has over 100 dingoes and is breeding the dog to ensure it is around for prosperity in the 'pure bloodline.' Owners of the Dingo need to display a natural authority. Calm, but firm, confident and consistent with the rules. Proper communication is essential. However, dogs up to 120 pounds (55 kg) are documented. The Dingo is not recommended for apartment life. They are wild dogs that if taken into a family, must not be chained up in a backyard, but should be taken in as part of the family. A securely fenced enclosure is a must. 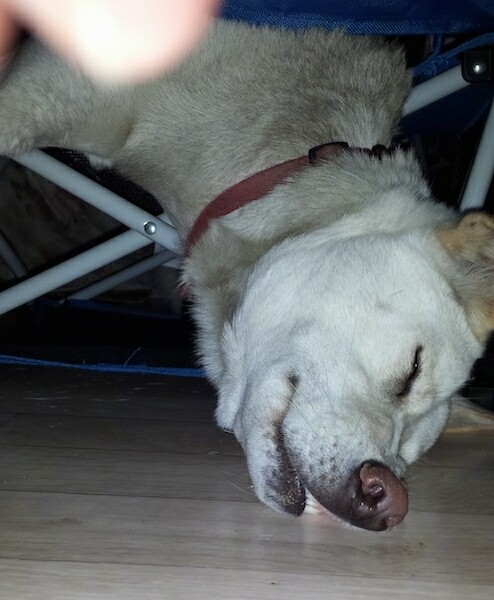 A Dingo needs activity and space. As pets they should not be taken off the leash in a park. They can withstand hot climates. 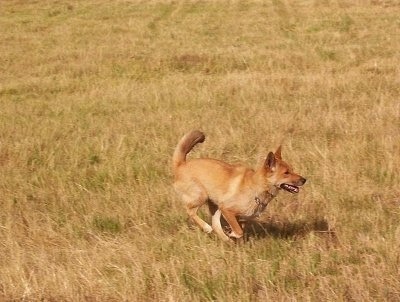 The Dingo is an undomesticated animal that should get plenty of exercise. When in captivity they need to be taken on a daily, long walk or jog, to satisfy their natural migration instinct. Can live to be over 20 years of age. The Dingo's weather-resistant coat takes care of itself. This breed has no doggie odor. 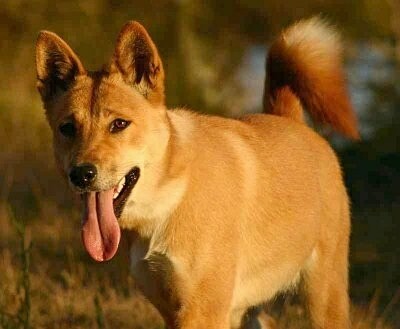 The Dingo is a wild animal brought to Australia by primitive man in the semi-domesticated state about 4,000 years ago. 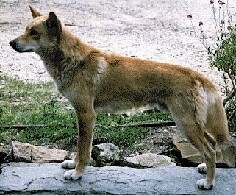 It is believed that the Dingo is the ancestor of all dog breeds, the base stock of the 600 true dog breeds. The dogs and people made their trek before Australia was cut off from the mainland and surrounded by water. Captain William Damphier, who wrote of the wild dog in 1699, first officially noted the Dingo. Originally kept by some Australian native groups as an emergency source of food. A direct descendant of the original pariahs from the Middle East and southeastern Asia, the Dingo became savage and returned to the wild. With the European's introduction of domestic sheep and rabbit, the Dingo population flourished. Because of the Dingo's preying on man's livestock, the relationship between the two has been untidy and quarrelsome. Man's interference in Australia's perfectly balanced ecology has been essentially blamed on the Dingo. Today a few people are now concerned with the native dog as a "living fossil" and are working toward studying and preserving him. The Australian Native Dog Training Society, based in New South Wales, has raised and trained many Dingoes. Their members put them on display and hold obedience and trick demonstrations and the society's motto is "A Fair Go For Our Dingoes." These dogs re-domesticate quite easily if raised from a young age by a family, but retain the pariah traits of flight and wariness. In many areas of Australia he is still considered vermin and cannot legally be kept. Other areas have stringent permit requirements. The Australian Federal Government classifies the Dingo as wildlife and it may not be exported except from and to registered and approved wildlife parks and zoos. Dingoes are very rare outside Australia. Today the Dingo is not considered a true dog, but are classified as their own unique canine species with the scientific name of canis lupus dingo. Talli the Dingo at 8 years old standing on a fallen log—"She is the most cherished part of our family." Note from Nic Papalia—"I have a DVD in the making specifically to give a factual and realistic impression and perspective about a wonderfully friendly pet. 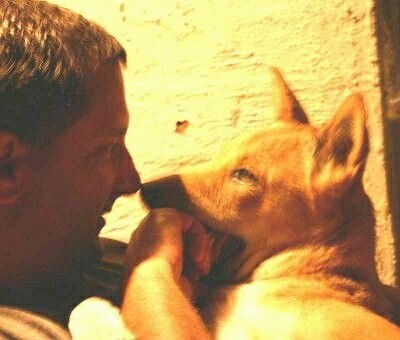 Dingoes make great pets!" 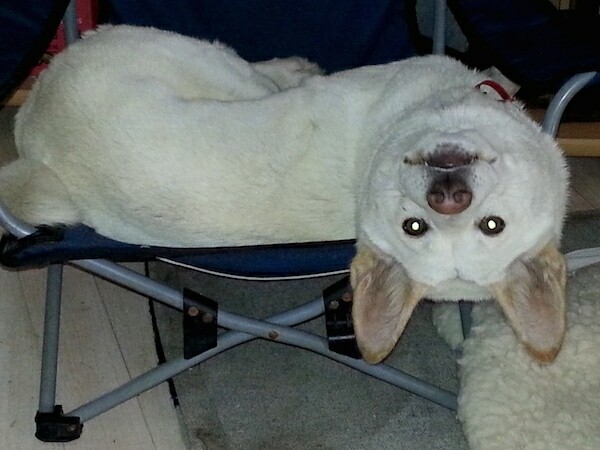 Phoenix the Dingo at 2 1/2 years old from Australia—"Most amazing creature we have ever had the honour of owning. 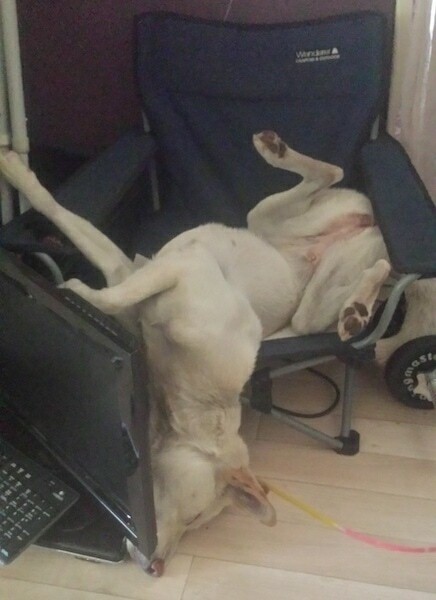 Talk about Intelligent, smart, affectionate and gentle! Most importantly they're NOT, and I Quote 'NOT a DOG'! Training, HUH good luck, yeh you can teach them some things but talk about *Independent Minded! Your life/lifestyle Must change. You soon learn what's dingoes, is dingoes and what's yours is dingoes haha. But I have fallen in love"